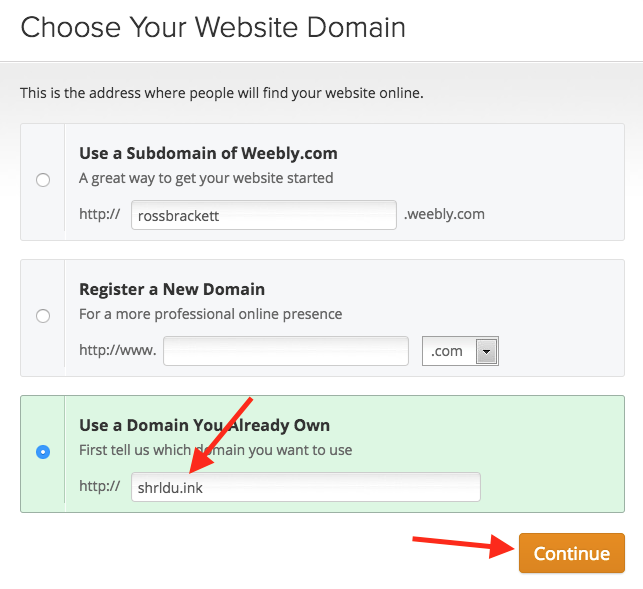 If you already have a site built at Weebly, you can use our Quick Connect feature to link it to your domain. In order to link your domain to your Weebly site, you first need to prepare Weebly for your domain. 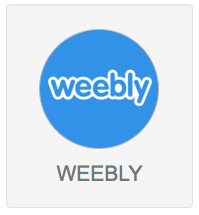 If you don’t already have a Weebly account, get one at weebly.com. If you already have an account you can skip this step. 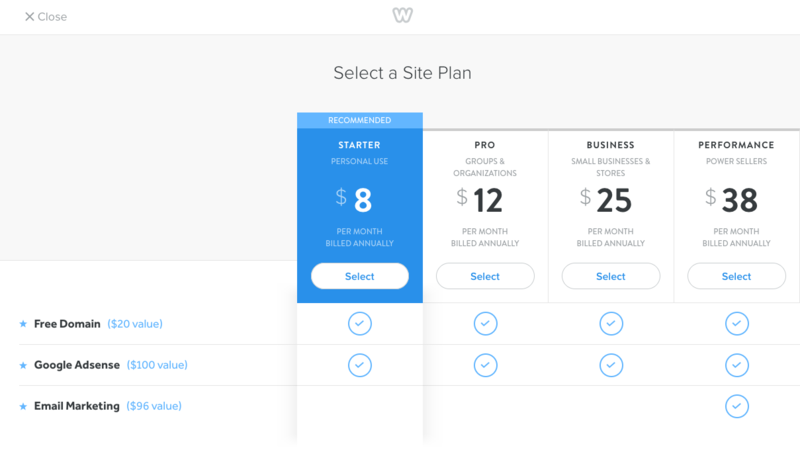 If you're currently using Weebly free plan, you will need to upgrade to a paid plan before you can connect your domain to your Weebly site. Log into Weebly if you haven't already. Click "Settings" at the top of the screen. Under "Site Address" click "Change"
On the "Choose Your Website Domain" screen, click "Use a Domain You Already Own," type in your domain, then click "Continue." From the "Use a Domain You Already Own" screen, select "Connect your Domain" and click "Continue." 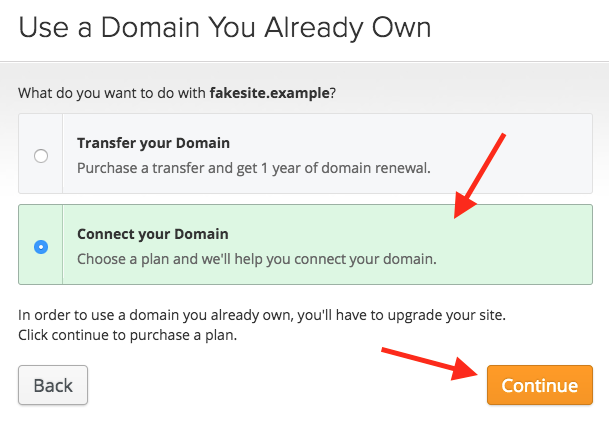 If you’re on a free plan you’ll be required to upgrade before you can connect a domain. Just select the paid plan you’d like and continue. All done! 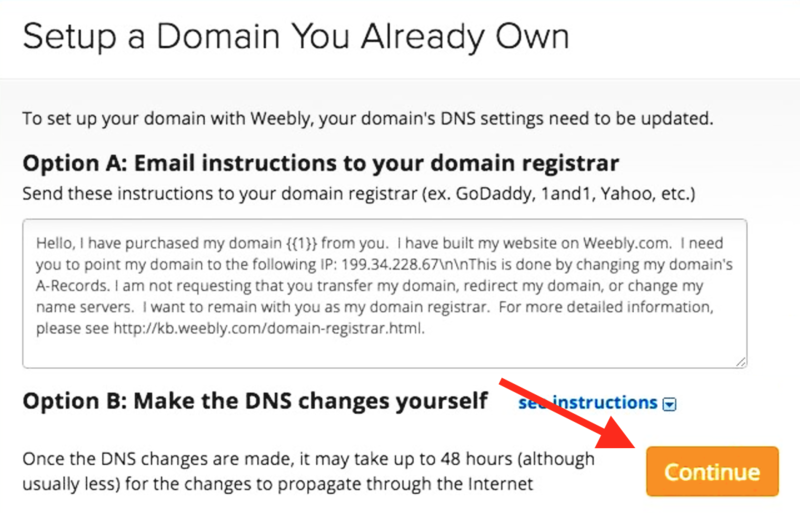 Click "Continue" and your domain will now show under "Site Address." Now that you've prepared your domain, it's time to use Quick Connect to link your domain to Weebly. Login to your Porkbun account. On the next screen, click Weebly.